Slab Heave and Plumbing – The Chicken or the Egg? Home > Uncategorized > Slab Heave and Plumbing – The Chicken or the Egg? 12 Jun Slab Heave and Plumbing – The Chicken or the Egg? The building industry in Australia is booming with new house construction and in places like outer Melbourne new green-field housing estates are spreading their reach at an incredible rate. The vast majority of new homes are constructed on concrete slabs which are designed to accommodate for potential movement according to the geotechnical report for the site. The most common concrete slab used to accommodate movement these days is what is known as a waffle pod slab. Metropolis Solutions has been involved in numerous claims regarding what is commonly known in the industry as “slab heave.” This is where for “no apparent reason” the concrete slab experiences differential movement which results in cracking and disruption of the internal aspects of the home (eg. doors become difficult to open and close). In some severe instances the houses may even being declared unable to be occupied. In the course of our investigations into such problems, it has become very clear that the PVC sewer and stormwater drainage pipes which are installed under the concrete slab or in close proximity to the concrete slab, are often a key contributing or directly causative factor in numerous slab heave claims – in particularly the stormwater pipes have been determined to be a key component. Due to the self-certification system which operates for plumbing drainage contractors in Victoria, only a small percentage of the overall installations of belowground drainage pipework are ever actually audited. Our experience has proven that the quality and compliance of many drainage installations is grossly sub-standard. There’s an old saying that “doctors bury their mistakes”. Plumbers can easily do the same thing, making later inspection both difficult and expensive. Because of this, significant defects with below ground drainage pipework are often overlooked during any audit and may not be identified for years afterwards by which time the damage has already been done and any warranty on the work likely to have also expired. As you would know, sewer and stormwater pipes are intended to carry vast quantities of water safely away from each individual house. However, if there are problems with these pipes (e.g. cracks or breakages, often in combination with adverse gradient), then water can leach into the ground either underneath or around the edges of a concrete slab. The reactive soils then expand at varying levels (depending on the soil conditions at the site) and the ground subsequently heaves. This heaving movement in itself will of course further exacerbate any defects with the pipes – sometimes completely breaking the pipes or sheering the fittings so that more and more water pours into the soil beneath the concrete slab. Hence when the time comes for investigation, contention is often raised as to whether the broken pipes caused the slab heave or broke as a result of the slab heave. It’s a genuine “chicken or the egg” situation. These problems then become what is proverbially known as a “lawyer’s and engineer’s picnic.” This however need not be the case. Belowground sewer and stormwater plumbing is not one of the creative arts! There are strict regulations and standards which dictate precisely how a licenced plumber must install belowground sewer and stormwater drainage pipework. This includes rules about how the installation should proceed when the soil type has been determined by the pre-build mandatory geotechnical engineering as what is known as “unstable” or “reactive” soil. Reference AS3500.3, Appendix N, Paragraph N11. The Victorian Building Authority has produced Technical Solution Sheets which also require plumbers to submit a drainage design which incorporates an informed response from a suitable expert to the geotechnical requirements of a site with “unstable” soil type. Such a drainage design would for example, often include the use of what are commonly called “knuckle joints” which are essentially drainage fittings which accommodate tolerance to movement. These are specified in accordance with the anticipated potential movement of the specific site. Our review of numerous drainage installations has revealed that movement tolerant drainage fittings are often not being utilised – no doubt because they are quite expensive and the cut-throat nature of the industry means that it’s a race to the bottom – particularly in a self-certification system where your chances of being audited are low and then you get to (quite literally) bury your work where nobody can easily see it – including auditors from the VBA! There are numerous other requirements on plumbing contractors in regards to the installation of belowground sewer and stormwater drainage in particularly unstable or reactive ground conditions. The most clear-cut of these is that the trenches themselves must be graded away from the concrete slab and that a clay-plug must be installed where the trench exits from the concrete slab to prevent water from potentially following the trench back under the concrete slab. Again it’s a case of burying mistakes in many cases and it’s only the few and far between drainage plumbers who would every do this in today’s cut-throat environment, particularly given that the clay plug is part of the back-filling process carried out after any potential installation inspections have taken place. If your home is experiencing any of the common symptoms of concrete slab heave please contact Metropolis Solutions. We have a wealth of experience when it comes to concrete slab heave claims and we are available to be engaged by Property Owners, Lawyers and Engineering firms. It’s worth noting that Licenced plumbers in Victoria also carry comprehensive Consumer Protection insurance policies which include coverage for plumbing design and installation defects, consequential losses, legal costs and expenses, so if you have a confirmed problem with your underground plumbing installation there is comprehensive insurance available to potentially cover the costs of rectification. Metropolis Solutions also has an in-house Chartered Loss Adjuster who can help you to navigate through the insurance claims process. 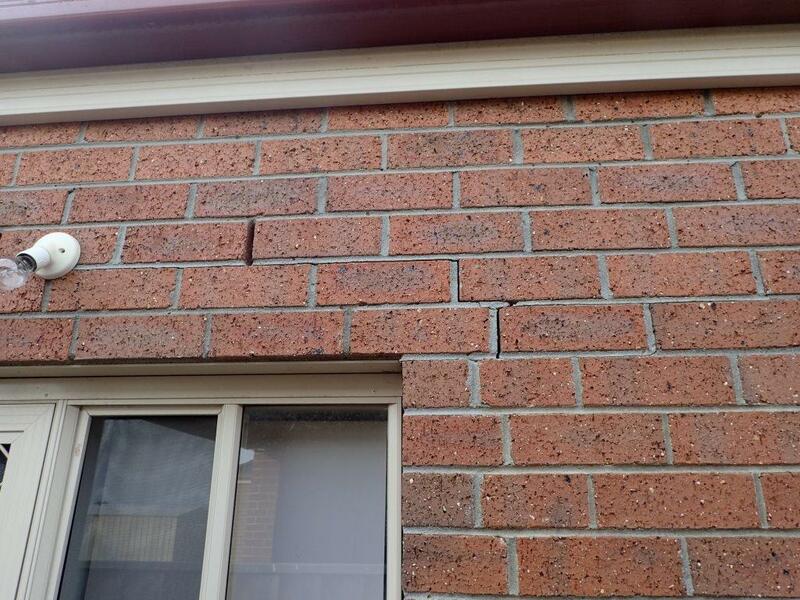 Movement cracks in the brickwork of this project house found to be due to differential slab heave directly related to a defective belowground stormwater pipework system. The first the owners knew of any problem was when they noticed that their laundry door was becoming increasingly difficult to open. They then saw cracks open up within the internal plaster above the doorway. Forensic plumbing investigation by Metropolis Solutions made the direct link to the defective, non-compliant below ground stormwater pipework system which was found to have come apart allowing water to leak under and around the slab. 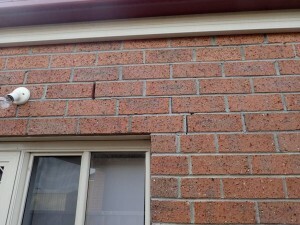 This house is located in a ‘highly reactive’ (H2) soil zone and investigations found NO PROVISION FOR MOVEMENT had made by the plumbers in either the sewer or stormwater pipework installation. The pipework was broken and damaged as a result. Another case of a plumber saving a few dollars, burying his mistakes and leaving an expensive time bomb for the home owners.